The IMF and the World Bank Should Say No To Cronyism in Rwanda — An Open Letter to Ms. Christine Lagarde and Dr. Jim Yong Kim. Subject: The IMF and the World Bank Should Say No To Cronyism in Rwanda — An Open Letter to Ms. Christine Lagarde and Dr. Jim Yong Kim. I begin my letter by thanking you for supporting my home country, Rwanda. In 2016 alone, your two agencies will lend Rwanda nearly a half billion dollars — the World Bank’s loans and grants amount USD285 million while the IMF’s Standby credit totals USD204 million. The purpose of this open letter, however, is about cronyism in Rwanda. 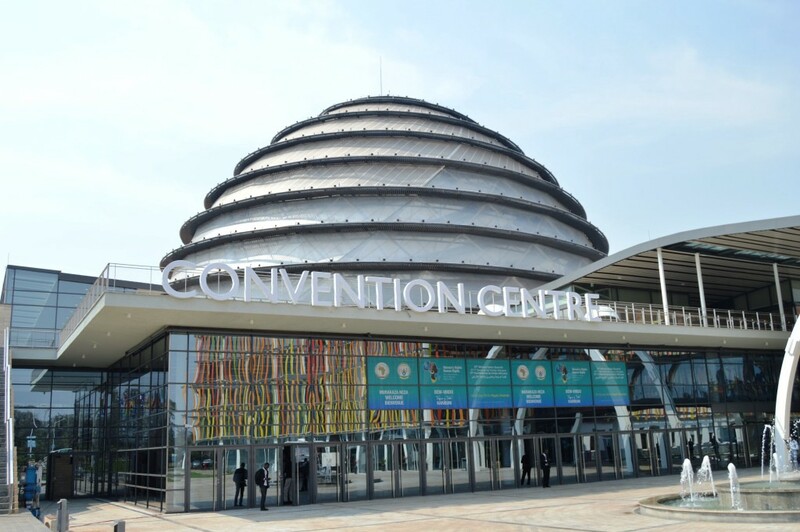 Case in point is the Kigali Convention Centre (KCC), financed by the larger part of the USD400 million Eurobond the Kagame government raised in 2013. Shockingly, a company by the name of Prime Holdings Ltd is a major shareholder with 50% shares. Now, Prime Holdings Ltd’s notoriety is documented in the IMF’s records, as I discovered when researching for my new book, Kagame’s Economic Mirage(2016). Back in 2006, the IMF concluded that Rwanda’s “adherence to conditionality was poor” because, among other things, “the publication of Prime Holdings’ audit was not met.” At the time, Rwanda was building two major hotels that would be the launchpad of its tourism business. Prime Holdings Ltd was in charge of this project. So now, how does the discredited Prime Holdings Ltd which the Kagame government terminated a decade ago reemerge to own 50% of KCC? That is not all. Crystal Ventures Ltd (CVL) is also a shareholder in KCC. Owned by the ruling party, the Rwandan Patriotic Front (RPF), CVL is synonymous with cronyism in Rwanda. Without government contracts in building roads, chartering executive jets to President Paul Kagame, or constructing a stadium for a local municipality, CVL would collapse. CVL is the most critical deterrent to domestic and foreign investment in Rwanda — and explains why Rwanda’s top rankings in the World Bank’s Doing Business indicators hardly make a difference. There is no question that we are witnessing in KCC entrenched cronyism via state capture by the ruling elite in Rwanda. Prime Holdings Ltd is a shadowy front. It does not have an address or website. Prime Holdings’ premises in Kimihurura were turned into military officers’ quarters by President Kagame in 2009. Rwandans thought we had seen the last of this mafia-like company, only to reemerge, in control of even much larger assets — KCC. As Rwanda’s leading financiers, the IMF and the World Bank have an obligation to hold the Kagame government accountable to transparency. We urge your two agencies to leverage your lending and surveillance powers to intervene before Rwanda’s ruling elite bankrupts the nation. At the very least, the government of Rwanda should explain how, when, and why it resuscitated Prime Holdings Ltd, after assuring the IMF that the corrupt company closed ten years ago.